Marvel Avengers Alliance:Bonus, Spec Ops Task, PVP-PVE & Hero Guide. 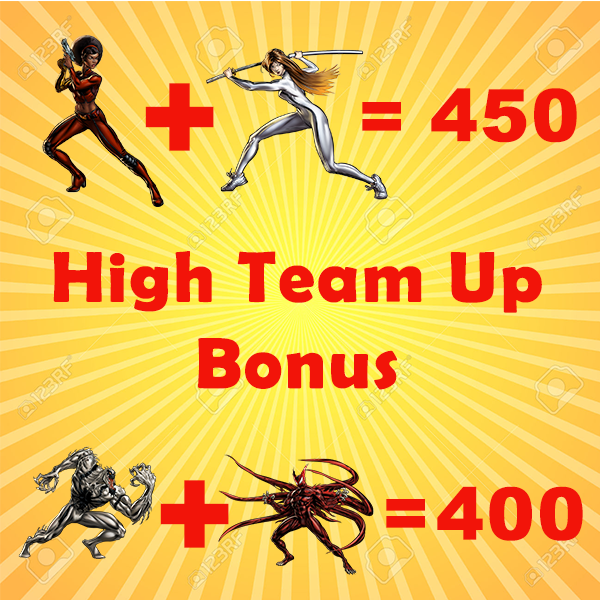 Here is the list of team ups, which has high team up bonus. Don't forget to share. If you enjoyed this article and want to get update, just click here, or subscribe or like our facebook page. Reproduction of material from any post without written permission is strictly prohibited. This site does not represent the official stance from Playdom or its affiliates and parent.